Are you up for a challenge? Are you feeling daring and would like to taste something different? Nowadays it might not be that new. Having gone to several Japanese restaurants has made me more or less comfortable with all these different flavors and textures. But believe it or not, their cuisine is super rich, not everything is raw, and you could have a great evening! Beware, though, that you might spend a rather large amount of money just for one meal. But yey! Sometimes it’s worth it. In Portugal, most of the Japanese restaurants have buffets. WELCOME to paradise! And it is not expensive. With 12 euros you can taste lots of different things. Of course, do not expect to be surprised with something they have to offer. Sometimes I could ask for beef as well… just like that. So, for non-Japanese food lovers it was also possible for them to join. If this is your case, well… you should have another try. Algae can be a bit tough to deal with at the beginning, but it is an acquired taste and it seems is good for your health. In Portsmouth I found, in Albert Road, a good Japanese restaurant, where you can enjoy an exquisite meal, in a more relaxing environment (though the place is always full!) and be awed by the excellent food they have to offer. Sure it is a bit out of the budget to go there on a regular basis, but if you manage your money properly, probably it can be possible to go there every month, if you fancy it. 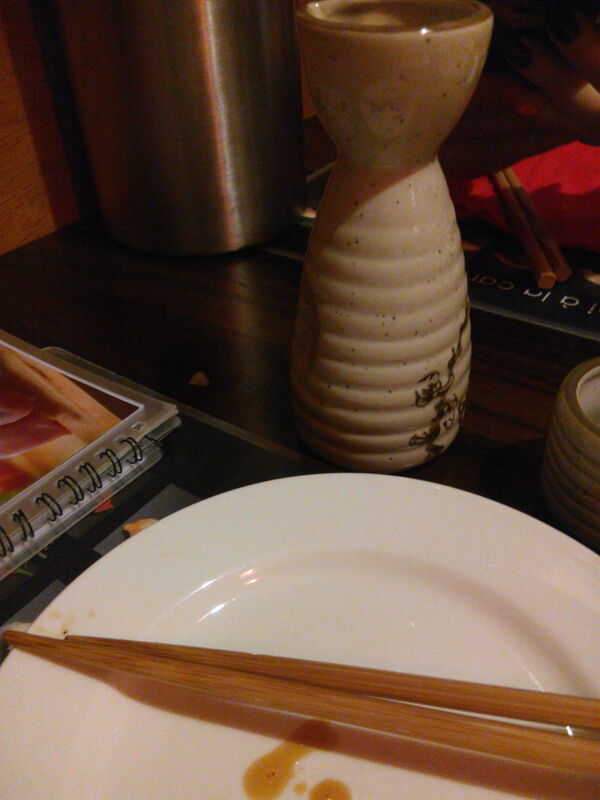 For instance, with a good £20 (and it was more than needed – £15 and you nail it) I got to try several dishes and enjoy the once-in-a-life sake. From starters and with some hot combinations of tastes, it is possible to savor a bit of Japan, just sitting in old Portsmouth. a view from last night’s set-up. → MA Digital Marketing… What is it?